When I go grocery shopping about once a week, I like to be able to pick up food or supplies for my dog at the same time. 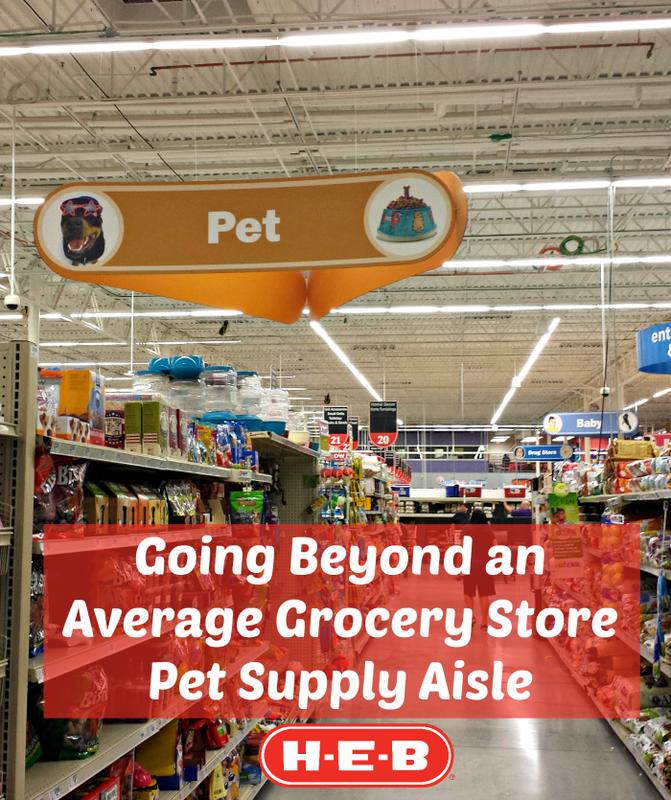 It can be difficult for me to make separate trips to the pet store, so I love the convenience of being able to buy my dog's food at our local H-E-B store. For any non-Texan reading this, H-E-B is an awesome grocery store here in Texas. It's where I do all of my grocery shopping. We have a really nice H-E-B store about 5 minutes from my house and I love shopping there. 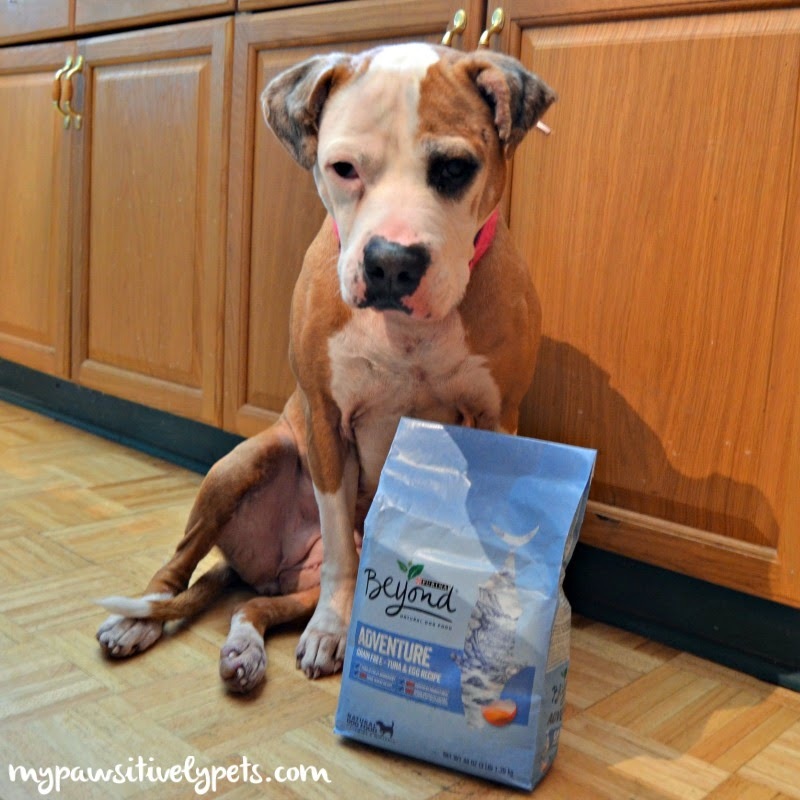 They have tons of healthy food choices for my family, including my dog. I love their pet supply section and I think it goes above and beyond other grocery store pet supply aisles. For many years, we have bought Shiner's dog food from H-E-B. For quite a while, she ate Purina brand food and did very well with it. I was recently introduced to the new Purina Beyond line which is now available for purchase at H-E-B stores. This food has real meat, fish, or poultry as the #1 ingredient. We got some Purina Beyond Adventure Grain Free - Tuna & Egg Recipe to try out with Shiner, and the #1 ingredient is indeed fish - tuna to be exact. Purina Beyond also contains NO poultry by-product meal, corn, wheat, or soy. While visiting Purina Beyond's website, I learned that they are selective about what goes into their food and say no to additives. This food has no added artificial colors, flavors, or preservatives. Purina Beyond cares about where their ingredients come from and sourcing them is an important part of the process of making this food. Any reference made to nutrition is backed by their in house pet nutritionists that formulate the recipes. These pet nutritionists see to it that all the ingredients in Purina Beyond come together to help support a pet's long term health and well-being. Oh, and did I mention Purina Beyond is also available at H-E-B for cats in both dry and wet formulas? And it's an affordable price too, which is another reason why I shop at H-E-B. Shiner of course enjoyed her Purina Beyond dog food and is waiting patiently (or maybe not so patiently) for the next time it's grocery shopping day. And she'll be sure to remind me to add it to our H-E-B grocery shopping list! This post is sponsored by H-E-B stores and the BlogPaws Professional Pet Blogger Network. 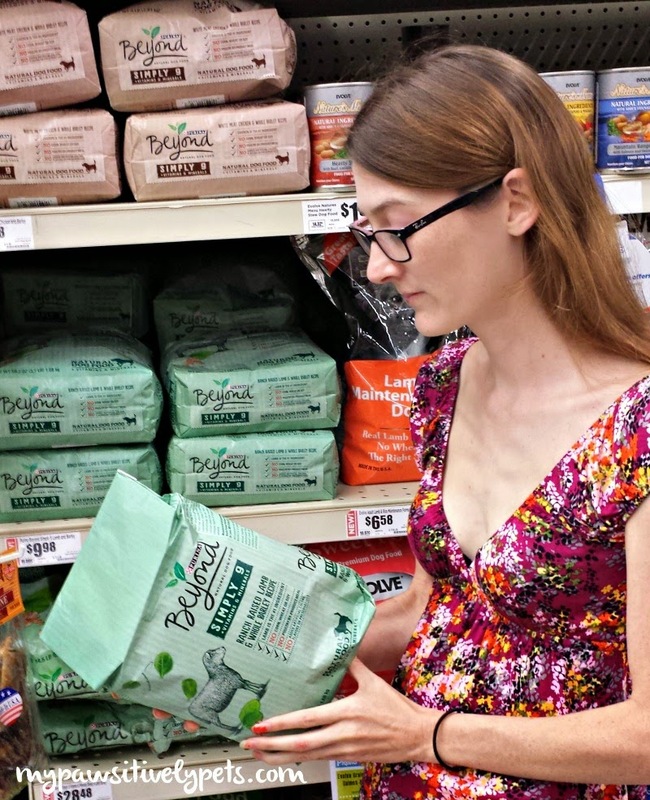 I am being compensated for helping spread the word about the availability of Purina Beyond at H-E-B Stores, but Pawsitively Pets only shares information we feel is relevant to our readers. H-E-B is not responsible for the content of this article. 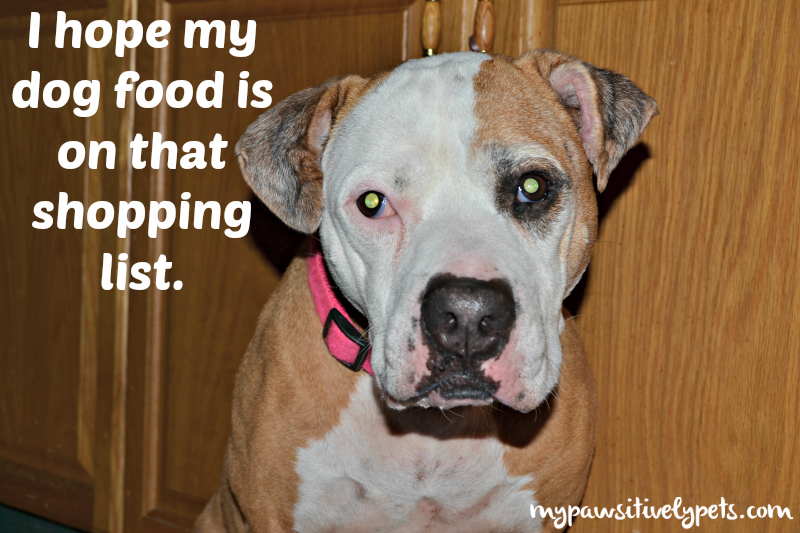 Sounds like a pawsome food Shiner! Sounds like a great place to shop and glad Shiner is enjoying Purina., Have a marvellous Monday. Ohhh, wish we had one of those stores up here in the north. M has to go to a local pet store for the good stuff. If your M ever visits Texas she must go to H-E-B! That looks like a very nice store filled with yum! Haha thanks Caren! Seriously, I love H-E-B. Everything I have said here is absolutely how I feel. I think part of the reason I'm proud to be a Texan is just because we have H-E-B stores LOL. Well, yes they did hire me to work on this campaign with them but that's it lol. Their aisles are a little wider, but then again so are their carts so they kinda have to be! I haven’t gotten any campaigns from Blogpaws in over a month. I’ve never heaerd of HEB stores but that Purina food is very expensive at ShopRite. One of the cats before me used to love tuna and egg. BTW, I finally joined that virtual blog tour if you’d like to read my answers. I was glad to be part of this one because I'm a H-E-B fan. I'll stop by right now CK, thank you for letting me know. Tuna & Egg recipe?!? Sounds delicious! Our grocery store has a very limited pet aisle...so glad HEB has a better selection so you don't have to run to several different places to get everything you need. Also, there's another aisle on the other side of this one... so technically there's 2! The other one is the cat aisle and small pets aisle. Awesome! I feed my cats the regular Purina One food. I know it's not the highest-quality food, but they seem to do well on it. I will have to look for Purina Beyond. It's an OK food. I used to feed it to Shiner and she's done well. Hmmmm very interesting! Thanks for sharing! Wish I could knock out all my shopping in one place! I wish that we had an H-E-B closer to us. It sounds great and so does the new dog food! Thanks for sharing. We don't have HEB stores here and our grocery store pets sections are not the best to say the least. Looks like an interesting store. We don't have HEB stores here either. We usually do most of our pet food shopping on line. That sounds like a great food choice, thanks for sharing! We're glad Shiner likes the food so much! Our Mom has to feed us all Royal Canin so dry since Carmine is on a prescription diet for that. But we each get to eat our own kinds of wet noms, and Lita and Jewel LOVE tuna and egg (and poor Carmine can't have it because it's not on his special diet). Aw well, I do hear that SO is tasty food Carmine. Why you look so sad Shiner? Aww I know because your mom should open that bag, right? Have a tasty tuesday! I feed Honey FreshPet and she does well on it. I'm very thankful I can buy it at the grocery store because the ride to the pet supply store by bike is really dangerous. Glad you've found a combination that works for you. Less time running errands means more time to enjoy our animals. Shiner has eaten that food before too. My boyfriend used to ride his bike around here, but some of these roads are just really not safe for bikes at all unfortunately. Haha! Well, we all have our gripes. Our particular store is really nice. As far as I know they are a Texas chain of stores and only in Texas. Great post, and adorable dog! Like any supermarket H-E-B has various size stores so when I went looking for the product for my own story I was limited to small stores, though I plan to check out a larger store I frequent more often. I also learned that there is an H-E-B Plus Superstore, here in Houston, I can reach by bus! I'd love to visit Texas. I hear there is great food, both for people and pooches.